of all ages as beautiful as they can be. We Now offer Orthodontic treatment! of Orthodontics to our menu of services! Click the button below to learn more about our staff today! to help you get the smile you deserve. looks forward to your visit. Come make your appointment today! We welcome the opportunity to make smiles of all ages as beautiful as they can be. You can entrust us with the oral care of your loved ones, for healthy teeth that will last a lifetime. Dr. Hall and her staff look forward to meeting you. Please call the office today to book your appointment, at (615) 865-6000. 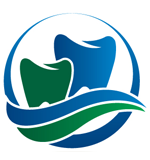 At Rivergate Village Dental, our dentists will examine your teeth, and then customize your cleaning as part of your personalized care. 2016 © Rivergate Village Dental. ALL Rights Reserved.